New York Fashion Week (NYFW) started on February 8th and ended on February 16th. With shows every hour from 9 AM to 9 PM most days, there’s a designer for everyone’s taste. We’ve even seen an amazing upturn in Middle Eastern designers and models presenting this time around. 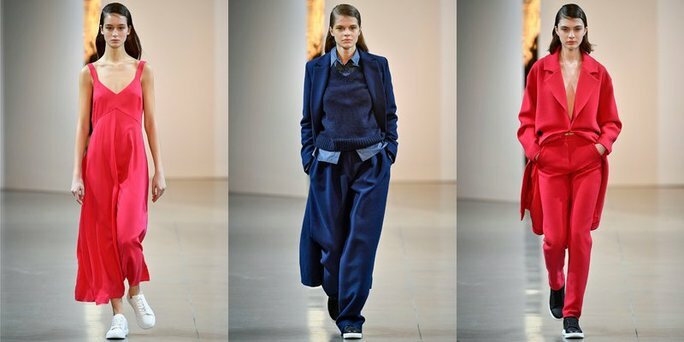 Fall/Winter 2018 are going to be the most daring seasons in fashion yet! What we’ve seen (so far) litter the run way is futuristic designs, statement hosiery, neon animal prints (reminiscent of the 80’s) and the unforgettable puffer coat. With all the beautiful chaos that is the artistic world in NYFW we’ve come to learn that not all ready to wear fashion is truly, well, wearable, but it is always fun! Some of the truly talented, and eye-catching fashion choices we’ve seen in Fall/Winter 2018 collections are worth taking a second and third look at. Tom Ford is always known for pushing the limits, and this season is no different. At NYFW Fall/Winter 2018 Tom Ford was seen sending neon animal print down the run way. The daring power clash of color and print wasn’t just for the women either, as Tom Ford had men confidently strutting down the cat walk in zebra print blazers. Talk about trend setting! Several designers kept with the the bright, glittery movement. Seen this week has been an insane amount of glitter and eye-popping color hosiery (meant to match those glitter boots form last season, possibly??) and we’re not mad at it. In fact, we’re pleased to say it looks like this course for bright accessories will be seen as long as 80’s influence impacts our designers. Adam Selman, Creatures of Comfort, Saks Potts, Jeremy Scott and Ulla Johnson just to name a few, jumped on the unique fun tight train. Then, we’ve got modest fashion coming to the forefront with Middle Eastern designers and models showcasing their work on the catwalk this week. Modest fashion honorable mentions include US Label B. Zarina and Bahrain-born label Noon by Noor. Of course, we’re not going to leave out Halima Aden. 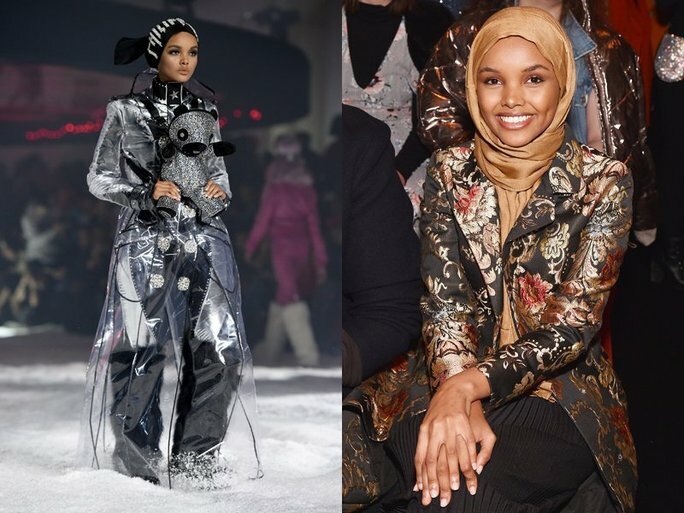 Who can forget the moment the Somali-American daringly strutted down the runway in a hijab just last year at Kanye Wests Yeezy show? This year Halima walked in Philipp Plein futuristic show, where the German Born designer, had a giant UFO and a full runway of fake snow to impress the crowds. Philipp wasn’t the only one who see’s fashion influenced by space. Seasoned designer Jeremy Scott, known for his extravagant statement pieces, did it yet again for the Fall/ Winter collection. Using his staple bright colors, adding in metallics and structured pieces it appears Jeremy is also a fan of the dad shoe this season. Christian Siriano continued with his body positive movement, including models of al sizes (yes that means plus size too) in his runway. The designer is known for his night gowns, but didn’t disappoint with his pantsuits, bright colors and use of fabric and texture either. As New York Fashion Week continues, let us know who your favorite collections are!